Where your adventures begin! 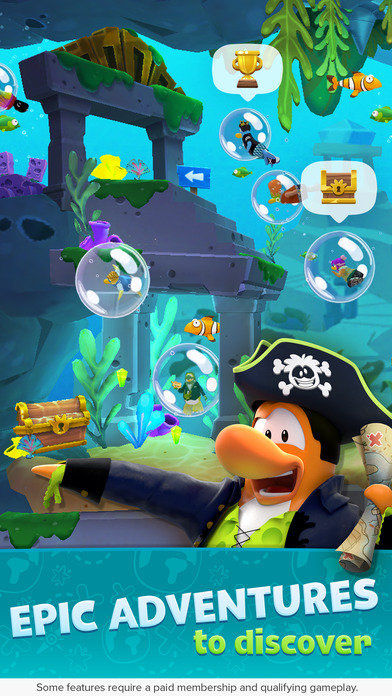 Discover a destination full of secrets and myths, legendary treasures, and piñata smashing penguins when you sign up for your account and choose your penguin name! 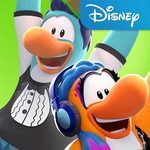 On DISNEY'S Club Penguin Island, you can waddle around with friends, level-up, and quest for special rewards. JOIN A THRIVING COMMUNITY where there are friendly locals and enthusiastic newcomers. 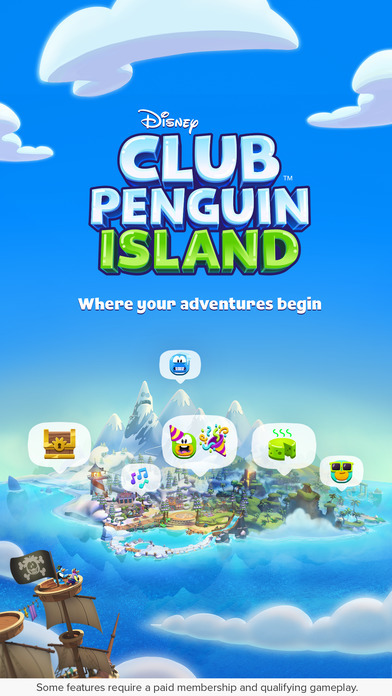 EXPLORE THE ISLAND with penguin friends. Dive for gems, ride geysers in the lagoon, or share some stinky cheese! 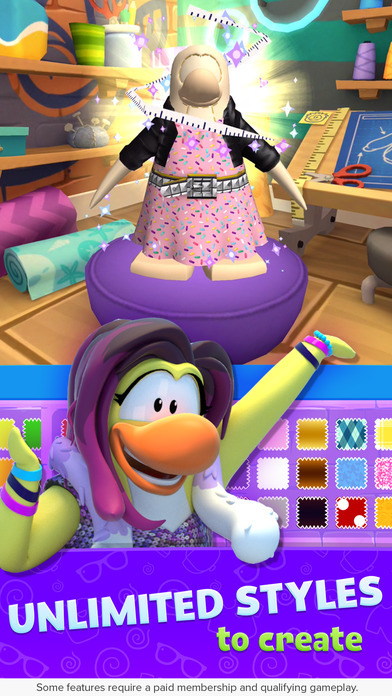 CREATE & CUSTOMIZE fashion-forward outfits with endless combinations for your unique style . 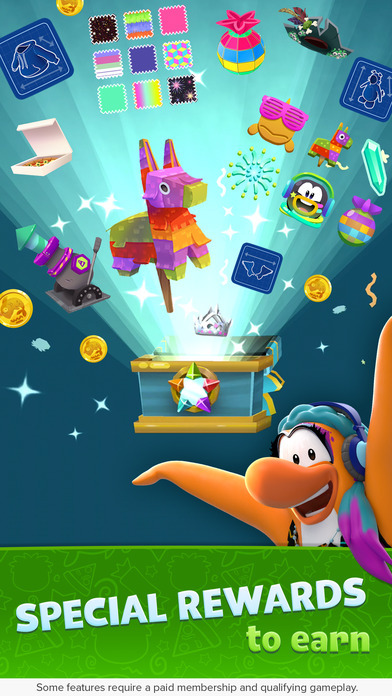 DISCOVER quests, special surprises, rewards, and coins! EXPRESS YOURSELF WITH CHAT, unique emojis, and 3D animations. SEE A CONCERT, or BE the concert! 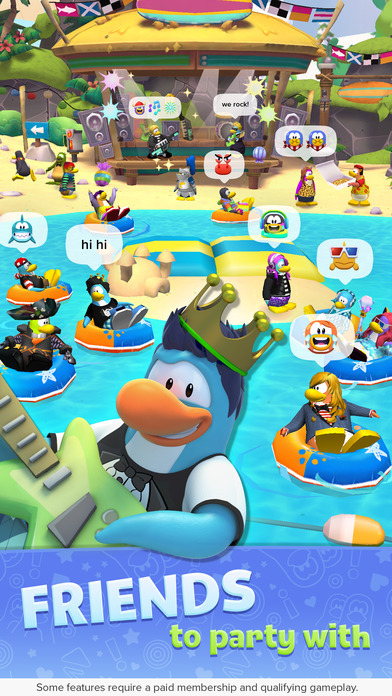 Join other penguins who never want the party to end! DO SOMETHING NEW EVERY DAY like hitting the stage, enjoying pizza, or joining a party!